If you are a Nintendo Switch gamer than you are already likely very happy with your lot, but if there is one thing that people like to do with handheld game consoles, it is finding ways to get them to do things that they were initially not designed to do. Homebrew software is often the reason some machines live longer than they ordinarily would, and while the Switch is strong right now, the arrival of a custom firmware solution is positive. We now know that a custom firmware will arrive around summer time after an announcement by Switch hacking team Reswitched. The release itself will be made up of two parts; Fusée Gelée (an exploit chain relying on on the Nvidia Tegra) and the actual custom firmware itself, known as Atmosphere. There’s also a new FAQ that has been published by Kate Temkin, the person behind some of the exploits that are being used in this particular hack. 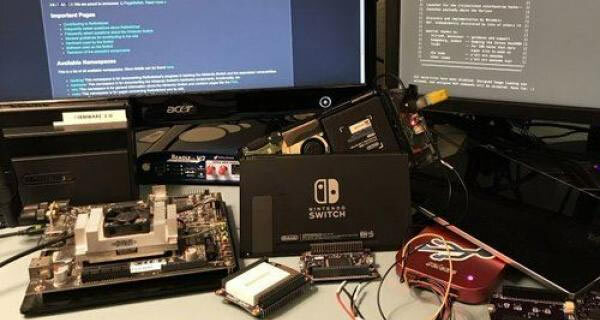 Elsewhere Team-Xecuter says that a hardware hack is in the works for the Switch, something that Temkin makes clear is a factor in the current Reswitched release schedule. Not just do they publicly endorse piracy, and seek to profit from keeping information to a few people, but they’re also willing to drop a 0-day that affects a broad swathe of devices on the public without any responsible disclosure. The important thing to remember from the FAQ right now is that all versions of the Switch hardware are currently hackable, no matter which firmware they are currently running. However, once the exploits are out in the wild it his highly likely, if not probable that fixes will be put in place to prevent hacking moving forward. Check out the complete FAQ here.